Turn the stool into a comfortable chair. The optional backrest measures 12½" wide × 7" tall (32 cm × 18 cm). 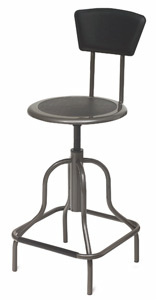 It's available with both the low and high base stools.